The latest Ijaw Youth Council (IYC) has condemned the subpeona by the Federal High Court sitting in Abuja on former President Goodluck Jonathan. It is reported that the group advised the administration of President Muhammadu Buhari not to play with Jonathan’s “gentility”. IYC said it was an embarrassment and a slap on the entire Ijaw nation that the former president was ordered to appear in a fraud case in person, adding that “this has never happened in this country and we will not allow it to start with our son”. 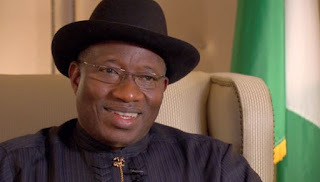 Justice Okon Abang had confirmed that he signed the subpoena on Jonathan to testify in the trial of a former National Publicity Secretary of the Peoples Democratic Party, Olisa Metuh. Reacting, IYC President, Barr. Roland Oweilaemi Pereotubo, in a statement on Thursday said the invitation was made with mischief, describing it as calculated to embarrass the person and office of President Goodluck Jonathan. “This is the first of its kind in the history of this country and same should not be allowed to pride in. It is an affront to the person of President Jonathan for a court to invite him in such a humiliating manner, especially when it is glaring that the intent and purposes for the subpoena is to use the instrumentalities of the judicial powers to persecute the man in order to put him to public disrepute”, it read. “We will not allow that to happen. This is an insult to the Ijaw people. Those who want to ferment strife in the Country should not use the sanctity of the judiciary to prosecute their aims. Jonathan’s acceptance of election defeat should not be taken as a cowardice but a reflection of true statesmanship. “This present Government owes a duty in all moral fronts to respect the person of President Jonathan for the sacrifices he has made to keep us united. No Former President of this Country has ever be openly humiliated the way and manner this present Government is persecuting Jonathan’s family. Let it not be seen as an offense for Jonathan to peacefully hand over power to President Buhari. “As for the judge that issued that vexatious order, we appeal to him for the sake of our peaceful co-existence to have a rethink. Judicial decisions should be guided with public policy, public interest and public safety. You do no good to the Country if your decision tears the Country apart. It is constitutional for a judge to be guided by public policy, public interest and public safety in the discharge of his judicial functions.